HealthInsuranceMentors.com is a brokerage firm that has no allegiance to any insurance company. Our agents are also multi state licensed. We shop all major carriers for you so you always get the BEST plan at the LOWEST price. Each plan can be customized to fit your specific needs and budget. There are many ways for consumers to purchase Medicare supplement insurance. However the best way is to use an experienced broker, most especially since it costs nothing extra do so. Call us directly at (630) 674 1551. If you are outside of Illinois call us toll free at (866) 724 7123 for a free no obligation telephone consultation from one of our licensed brokers. When can I sign up for Part A & Part B? For example, if you’re eligible when you turn 65, you can sign up during the 7-month period that begins 3 months before the month you turn 65, includes the month you turn 65, and ends 3 months after the month you turn 65. Find out when you’re eligible for Medicare. If you didn’t sign up for Part A and/or Part B (for which you must pay premiums) when you were first eligible, and you aren’t eligible for a Special Enrollment Period (see below), you can sign up during the General Enrollment Period between January 1–March 31 each year. To sign up for Part B, complete an Application for Enrollment in Part B (CMS-40B). Get this form and instructions in Spanish. If you don’t have Medicare or you want to sign up for Part A (some people have to pay a premium for Part A), contact Social Security. Without a Medicare Supplement a.k.a. “MediGap” policy you will pay these Medicare Part A & B out of pocket expenses each year. When can I buy a Medigap a.k.a. “Medicare Supplement” plan? Open Enrollment Period (Medigap)—A one‑time-only, 6-month period when federal law allows you to buy any Medigap policy you want that’s sold in your state. It starts in the first month that you’re covered under Medicare Part B, and you’re 65 or older. During this period, you can’t be denied a Medigap policy or charged more due to past or present health problems. Some states may have additional Open Enrollment rights under state law. If you miss this initial Open Enrollment period, you have other guaranteed issue rights depending on the circumstance outlined on page 22 and 23 of this document from CMS – Centers for Medicare and Medicaid Services. If you still do not qualify during the Special Circumstances outlined in that document, there is one carrier in Illinois that will issue you a Medigap policy any time throughout the year on a guaranteed issue basis (no preexisting conditions). That carrier is Blue Cross Blue Shield of Illinois. When can I buy Medicare Advantage-Part C and Part D for prescription drugs? Open Enrollment Period for Medicare Advantage (Part C) and Medicare Part D – for prescription drugs is October 15th through December 7th. One of the most common questions we receive about Medicare supplement insurance is how it differs from a Medicare Advantage plan. Below are 5 basic differences for you to consider. In our view a Medicare supplement insurance policy is the best option for seniors looking to fill in the gaps left by basic Medicare. But you can review the information below and make your own decision. Any doctor, hospital, or other medical provider that accepts Medicare must accept your Medicare supplement insurance plan. You can choose to see any doctor in any city when you want. This is not the case with most Medicare Advantage “Part C” plans since many Medicare Advantage plans are coupled with an HMO which limits your choices as to which doctors or hospitals you can choose from. While some companies have rate increases each year, the premiums for your plans remain fairly steady. Especially if you work with an independent agent who can shop all the best companies for you. With a Medicare supplement insurance policy you can change your plan at any time for any reason. You don’t have to rush around at the end of the year worried about getting stuck in a bad plan. Of course health conditions play a factor when buying a new policy, but again a quality independent agency has multiple companies all with different underwriting guidelines. With certain Medicare supplement insurance plans you can cover every gap left my original Medicare. No co-pays, deductibles, or other shared costs. This makes budgeting for your Medicare care very easy. All you pay is your Medicare part B premium and your Medicare supplement insurance premium and everything else is taken care of. This is not the case with Medicare Advantage plans. Medicare Advantage plans have a “M.O.O.P” – Maximum Out Of Pocket cost each year of $6,700. Medicare Plan F is the most comprehensive Medicare Supplement plan on the market today. The most comprehensive Medicare Supplement plan is “Plan F”. Their is also a “High Deductible Plan F”. However, we do not recommend this plan due to the significantly higher out of pocket risk it exposes the policyholder to. Standard Medicare Supplement Plan F will be formally replaced by Plan G on January 1, 2020. The best priced any hospital, any doctor Medicare Supplement plans in Illinois are available from Mutual of Omaha. To view the outline of coverage and a detailed comparison between all of the Medicare Supplement plans offered by Mutual of Omaha click this link. Medicare Plan G is the best priced and best designed Medicare Supplement plan on the market today Medicare Plan G is a new entry to the Medicare Supplement market. It covers everything Plan F covers except it requires the policy holder to pay the $185 annual Part B deductible. In exchange for this additional deductible requirement, the premium is about $500 cheaper each year. This makes it a no brainer for most Medicare recipients. 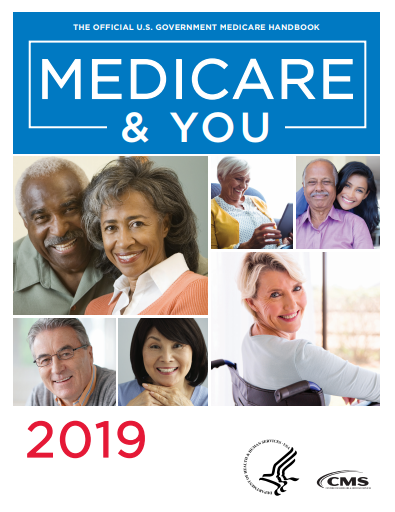 To view the outline of coverage and a detailed comparison between all of the Medicare Supplement plans offered by Mutual of Omaha click this link. Paying for prescription drugs can be quite costly, which is why Medicare Part D was created as part of the Medicare Prescription Drug, Improvement, and Modernization Act of 2003 (also known as the Medicare Modernization Act or MMA). Meant to help subsidize the cost of prescription drugs, Medicare Part D came into effect in 2006. Below is some general information on Medicare Part D and what to expect as a result of some changes in the future. Those who have Medicare Part A and Medicare Part B are eligible for Medicare Part D. There are two options for receiving Medicare Part D benefits. One can choose to enroll in a Medicare Advantage plan with prescription drug coverage, or one can enroll in a Prescription Drug Plan (PDP). Enrollment for Medicare Part D lasts from November 15 through May 15 of the following year. The best priced Medicare Part D plan is available from Humana. To enroll for their Part D plan available through an exclusive relationship with Wal Mart click here. The Patient Protection and Affordable Care Act (PPACA) was signed into law on March 23, 2010. As expected, the health care form bill will affect Medicare coverage in a few ways. Original Medicare coverage (Part A and Part B) will remain untouched, but there will be some changes to both Medicare Part D and Medicare Advantage. In the case of Medicare Part D, the changes from PPACA are meant to close the so-called doughnut hole by the year 2020. The doughnut hole refers to the gap in coverage when a person spends more than $2,700 but less than $6,154. Between these two amounts, the person in the doughnut hole must handle all costs out of his or her own pocket. In 2010, those who fall into the hole will receive a $250 rebate to assist with payments for prescription drugs. In 2011, those with Medicare Part D will also receive a 50% discount on name brand prescription drugs. Additional discounts will be covered over the next several years. Individuals who are eligible for Medicare will notice that there are certain gaps in medical treatment that are not covered by Medicare Plan A or Medicare Plan B. To cover these gaps, there are multiple options available, but it fundamentally comes down to a choice of a Medicare Advantage or a Medicare supplement insurance plan. When choosing between the two, you need to consider a number of different factors. Below are some general considerations for those deciding between Medicare Advantage plans and medicare supplement plans. Once referred to as Medicare + Choice and Medicare Part C, Medicare Advantage refers to health care plans provided by Medicare-approved private companies. Medicare Advantage plans will cover urgent care needs as well as emergency care needs. Medicare Advantage will also cover medical treatments in Original Medicare (Part A and Part B), with the exception of hospice care (which is covered by Original Medicare). Extra coverage may be offered through some Medicare Advantage plans, such as prescription drug coverage (Medicare Part D), dental care, eye care, and programs promoting health and wellness. Medicare Advantage Plans may take the form of a Health Maintenance Organization (HMO) plan, Preferred Provider Organization (PPO) plan, or a Private Fee-for-Service (PFFS) plan. There are also Special Needs Plans (SNP) available for those who have certain severe medical conditions or disabilities. The most important reason to choose a MediGap or “Medicare Supplement” plan over a Medicare Advantage plan is the “M.O.O.P” – Maximum Out Of Pocket costs. These are capped at $6,700 each year. Out of pocket costs are little to nothing with Medicare Supplement plans. Should I Choose Medicare Advantage or Medicare Supplement Plans? The answer to this question will be determined by your health care needs. Medicare supplement plans allow more flexibility in that you can visit any doctor without the need for a referral. Medicare Advantage plans do not afford as much freedom since visits with doctors outside of your network are not covered. Cost comes into play when it comes to deciding between Medicare Advantage and Medicare supplement insurance policy as well. In general, Medicare Advantage may offer a small premium or in some cases no premium but the “M.O.O.P.” ‘Maximum Out Of Pocket” costs are very high at $6,700 each year. Since many Medicare Advantage plans are coupled with an HMO, they often come with loss of flexibility when it comes to choosing your own doctor and hospital, which may be problematic for addressing certain health care needs. Medicare Advantage plans are NOT Medicare Supplements. Medicare Supplements and Medigap are interchangeable terms – the two terms refer to the same type of standardized plans that work with Medicare. Medicare Advantage plans do NOT “supplement” Medicare; they take the place of it. Medicare Advantage plans have widely varying benefits that can be found on plan “Summary of Benefit” documents. These range from plan to plan, change each year, and are very long (i.e. different co-pays for different procedures, in-network vs. out of network, etc.). Medicare Supplement plans are all required to go by the Federally-standardized plans chart. The plans work very differently. The easiest way to explain it is that Medicare Supplement/Medigap plans pay AFTER Medicare pays. They “supplement” Medicare. Medicare Advantage plans pay INSTEAD of Medicare. They take the place of Medicare in paying claims. Medicare Advantage plans have an annual enrollment period at the end of each year. This is because the plans change, benefits and premium, each year. Medicare Supplement plans do NOT have an annual enrollment period. You can change plans at any time of the year, but the benefits never change on these types of plans. The ‘M.O.O.P.” – Maximum Out Of Pocket – risk with Medicare Advantage plans is $6,700 each year. Medigap plans never change – they are guaranteed renewable and your benefits will never change. Medicare Advantage plans change on an annual basis. Their changes include formulary changes, benefit changes, network changes, premium changes, deductible changes, etc. Medigap plans are not currently being threatened by recent health care reform changes which greatly reduced funding to the Advantage plans (which are Federally-subsidized). These recent changes led to many top Advantage plan providers pulling completely or partially out of this market (CIGNA, Wellcare, etc.). It is a universal assumption that Medigap plans have greater long-term viability and stability. Medicare Advantage plans have deductibles, co-pays and coinsurance that can range from service to service. This is a complex system of co-pays and deductibles that, in a good year, may not be a problem, but if you have any health problems, can quickly add up to a large expense. These expenses are capped at $6,700 each year. Medigap or “Medicare Supplement” plans, at the top few levels, have no (or very small) out of pocket costs. They are designed to fill in the gaps in Medicare. 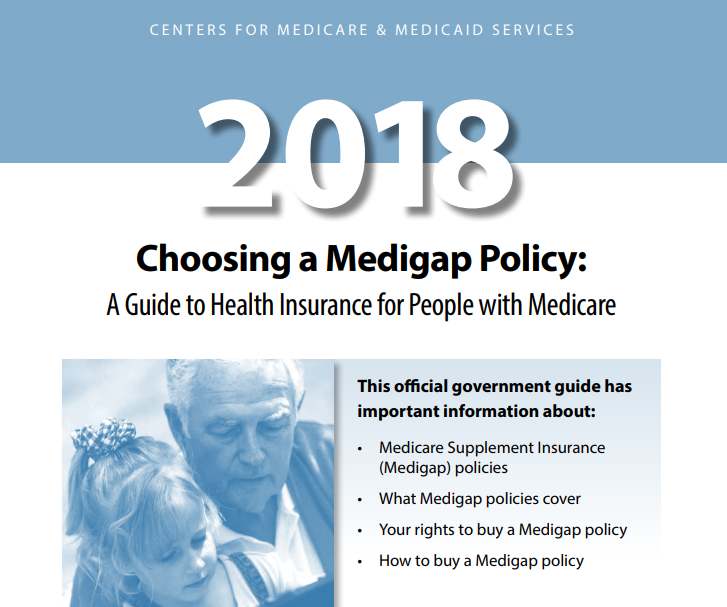 The top Medigap plan, which 43+% of people have, Medigap Plan F, fills in all the gaps in Medicare so you don’t have any out of pocket co-pays or deductibles at the doctor or hospital. Medicare Advantage plans have networks of doctors/hospitals that you must stay within to receive full coverage. These networks are, generally speaking, regional in nature. So if, for example, you are traveling, you may be hard pressed to find a doctor that works with your plan. Medicare Supplements can be used anywhere that takes Medicare, nationwide. If they take Medicare, they have to take one of the standardized Medigap plans, regardless of what insurance company it is. On March 23, 2010, the Patient Protection and Affordable Care Act (PPACA) was signed into law. The provisions of this law not only apply to individuals, business owners, and health insurance companies, they will also have some effect on Medicare. While the PPACA will not require seniors to change their Medigap coverage, there are some changes that current and future Medicare recipients should be aware of. Below is a general look at some of the ways that the health care reform bill will alter Medicare. While there will be no cuts for Original Medicare plans, there will be some enhancements in coverage as a result of health care reform. Medicare will start paying for wellness visits each year. As it stands at the moment, only a general check up is paid for when a person initially enrolls in Medicare. The health care reform bill aims to close the gap in Medicare Part D prescription drug benefit. In the current program, coverage ends when $2,700 is spent on prescription drugs and resumes again once $6,154 is spent. All prescription drugs purchased between those two amounts must be handled out of pocket. This has been referred to as the doughnut hole. This year, those who fall into the doughnut hole will receive a $250 rebate to help with payments for prescription drugs. In 2011, they will be eligible for a 50% discount on brand name drugs. These discounts would expand over the course of the next few years. It is projected that by 2020, an estimated 75% of prescription drug costs will be covered. Medicare Advantage will see a number of spending cuts as a result of the health care reform bill, amounting to $156 billion over the next decade. These spending cuts will be phased in over a period of 10 years. There will also be a $40 billion reduction on Medicare payments for home health care and a $22 billion reduction on certain Medicare payments to hospitals. These cuts have resulted in our nation’s largest health insurer being forced to drop hundreds of doctors from their Medicare Advantage network. These cuts have already caused many Medicare Advantage policy holders to lose access to their preferred doctors. Individuals earning more than $200,000 a year and couples earning more than $250,000 a year will experience a 0.9% increase in their Medicare payroll tax. Beginning in 2013, individuals earning more than $200,000 a year and couples earning more than $250,000 a year will also experience a 3.8% surtax on investment income. Still have questions? Call us toll free @ (866) 724 7123 for a free no obligation Medicare Supplement telephone consultation from one of our multi-state licensed Brokers. Remember, it costs you nothing more to use a Broker.